Complexity Fest 2019 will take place at Patronaat in Haarlem, The Netherlands on February 19, 2019. The Ocean, Shining (NOR) and Klone are among the bands that will perform at Complexity Fest 2019. 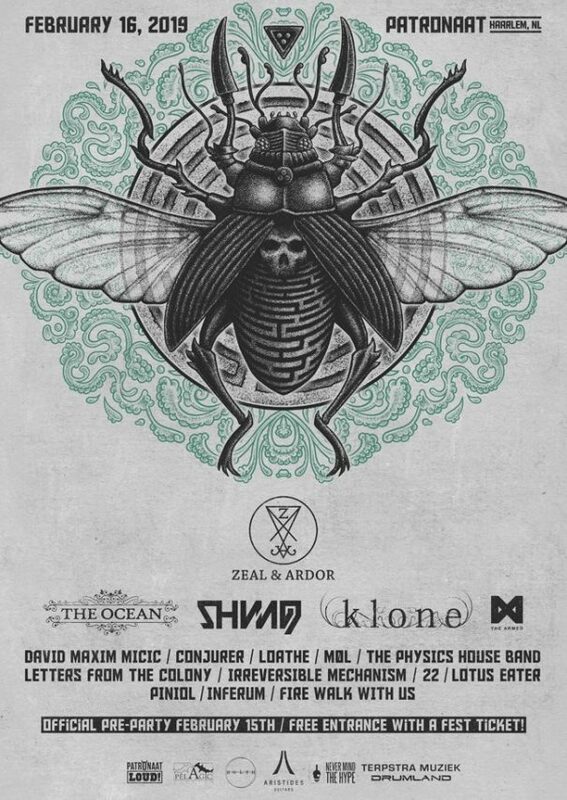 Roadburn Festival 2016 will take place in Tilburg, The Netherlands on April 14-17, 2016. Neurosis, Paradise Lost and Green Carnation are among the bands that will perform at the Roadburn Festival 2016 festival. Motocultor Festival will take place in Theix, France on August 19-21, 2011. Marduk, Decapitated and New Model Army are among the bands that will perform at the Motocultor Festival 2011 festival.